Built for the birder or nature enthusiast who wants to squeeze every last bit of performance out of a binocular, yet still be manageable enough to carry on extended outings. A 50mm objective lens system combined with a larger exit pupil delivers a relaxed view and extracts extra detail in low light and shadowed areas. MB5501TM ion assisted lens multi-coatings deliver maximum brightness while MeoShield TM coatings protects exposed lens surfaces from abrasion. Surprisingly compact for a 50mm binocular its size and weight compares directly to competing 42mm binoculars yet its large objective lens size ensures maximum resolution and low light ability at maximum distances. If you observe birds and wildlife on the edges of the day and desire the highest resolution images a MeoStar® B1 50mm binocular is the perfect choice. 10x50 – Wide field of view of 330 ft. 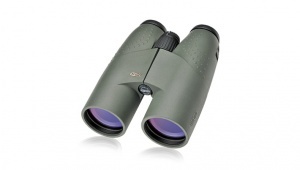 Excellent choice for birding and nature watching at extended distances. MeoShieldTM - MeoShield TM ion-assisted coating protects external lens surfaces and delivers enhanced resistance to scratching or abrasion in extreme conditions. MeoShieldTM meets military specifications for durability and surface hardness. Prism System - Precisely ground and finished Schimdt-Pechan prism system is polished to within +/- 1 second and allows hours of extended glassing without eye strain. Focus and Diopter Control - Central focus wheel smoothly operates on a finely tuned ratio allowing precise, accurate focus acquisition with no backlash. Integrated central diopter control is easy to adjust and accommodates +/- 3 D.
Ergonomic Armor Design - Protective rubber armor is softer in strategic locations to help reduce hand fatigue and improve grip. Sculpted thumb pockets accommodate a variety of hand positions and encourages a balanced and comfortable hold. Chassis Construction - Aircraft grade aluminum chassis is incredibly robust and built to survive rough conditions in the field. Lifetime Warranty - All binoculars carry Meopta’s North American Limited Lifetime transferable Warranty. Purchase through PayPal by using the "Add To Cart" button above or use the form below to order the Meopta Meostar 10x50 . Feel free to contact us if you have any questions about the Meopta Meostar 10x50 .